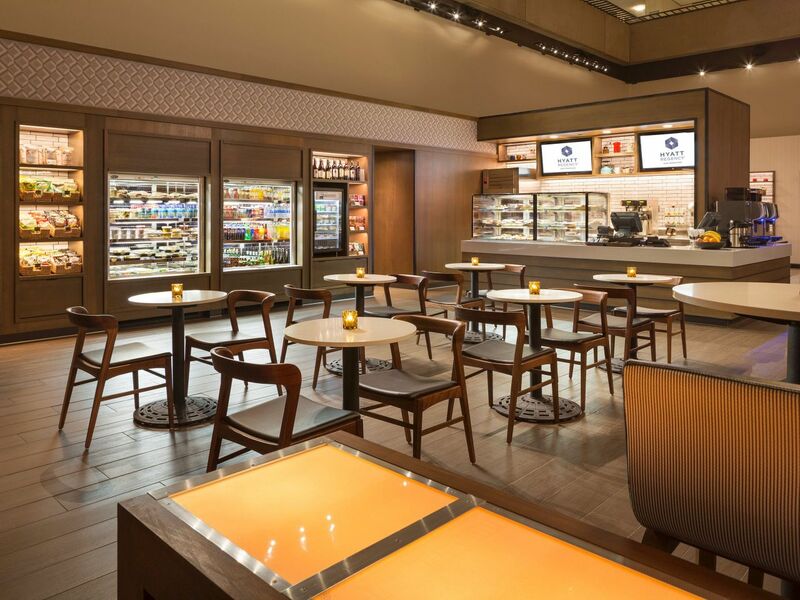 Situated in our dramatic lobby, our popular Embarcadero restaurant serves creative California cuisine using the freshest local ingredients served in a casual, energetic atmosphere. Kick off your day at Eclipse Kitchen & Bar with a delicious breakfast, schedule a business lunch, or wind down with a dinner for two. 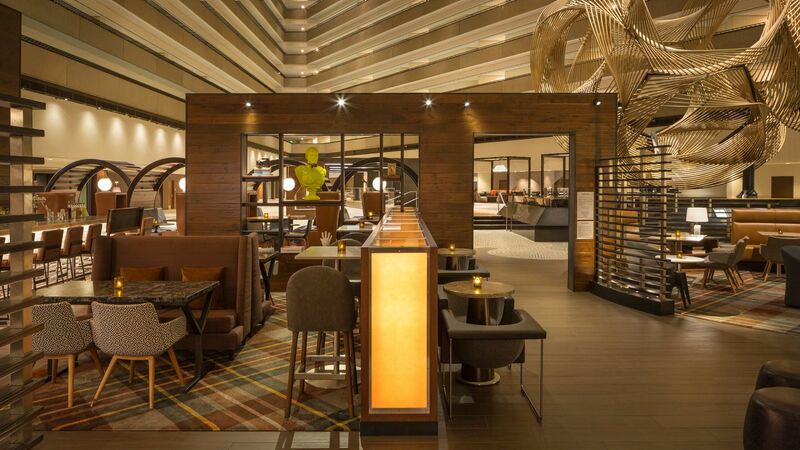 Set in the Guinness Book of Records’ “largest atrium lobby,” Eclipse Bar is a vibrant destination to relax after a day of meetings or exploring the city. 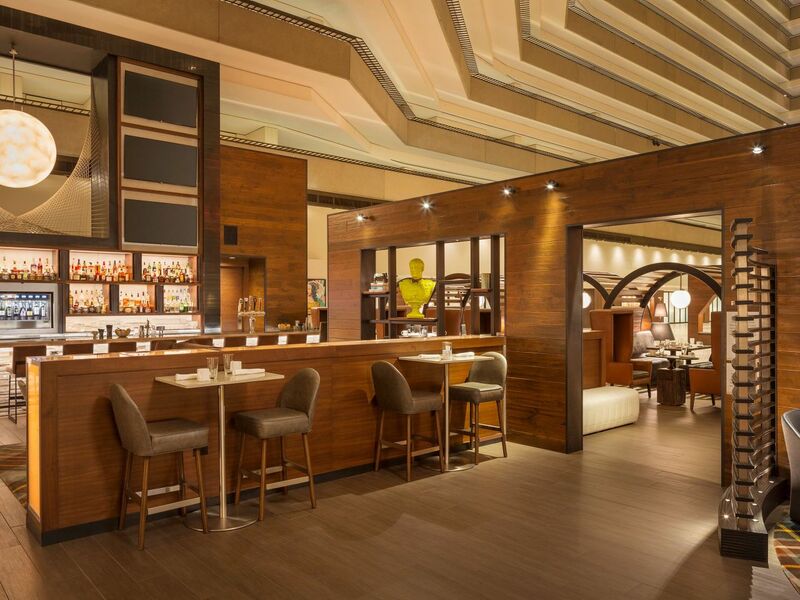 The lively and fun ambiance creates the ideal spot to meet with friends for Happy Hour and share good conversation. Enjoy a relaxed environment with an impressive backdrop of artwork of the San Francisco Bay Bridge, an open space with a rich, modern palette, and refreshing dining experience. 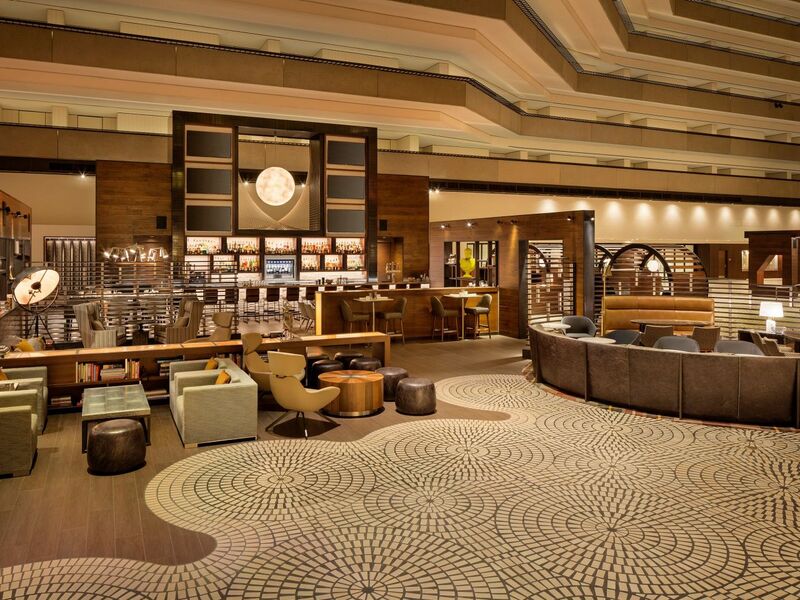 Located in the world’s largest hotel lobby, Eclipse Kitchen & Bar is one of the best restaurants in San Francisco to unwind with a signature cocktail, savor appetizers and seasonal dishes for breakfast, lunch, or an evening bite. Join us for Happy Hour from 3:00–5:30pm, daily. Experience the vibrant nightlife scene in San Francisco at the sophisticated Eclipse Bar. Located in the Guinness Book of Records’ "largest atrium lobby," Eclipse is the perfect place to gather for a night out with friends, while celebrating a milestone, or over business drinks after your meeting. Savor signature martinis and sip artisan cocktails in the sophisticated ambiance furnished with posh couches and benches, soft sleek chairs, and discreetly spaced tables to keep your conversations private. Ideal for the traveler on the go, The Market offers fresh, healthy inspired items served in easily transportable packages. From San Francisco breakfast favorites to warm and cold sandwiches, as well as decadent desserts, guests can easily get their fill while not sacrificing on health and flavor. For a casual dining experience, guests can have any of The Market menu items delivered to their guestroom for a fee of $6 or pre-order a pick up by calling ahead.